The new developments in the information and communication technology sector have seen quite a number of new devices hitting the market. Some of these devices that have been developed include external data storage devices that have been miniaturized and are capable of holding large volumes of data in digitized form. Hard files were traditionally used for storing information in the form of text documents as well as photos. On the other hand, cassettes and records were used for storing audio and videos. However, new external data storage devices have ushered in a new way of storing data in digital form. There are many benefits that can be derived from using these small external data storage devices. External hard drives as well as memory sticks and cards significantly vary in their shapes and size but they serve the same function of storing data. These devices can be connected to a computer where data is transferred to them for storage. One striking feature about these miniaturized data storage devices is that th ey are portable. Some of them are very small just like a padlock key which means that it is easy to carry them around. The other aspect is that physical size is not an issue in this case since these devices have large volumes of storage capacity and can hold many files of data at the same time. Interestingly, these storage devices of data are getting smaller in physical size while their storage capacity is expanding. 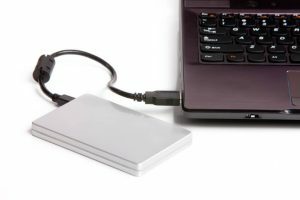 The other advantage of using these devices is that they can play a very important role in backing up data stored on a computer. Computers are susceptible to crashes or infections by virus which can result in loss of information. Therefore, removable data storage devices come in handy since they help to store vital information which should not be destroyed.